If you’re entirely edentulous (devoid of teeth), for whatever reason, we can fit you with a new set of “Full Dentures” (false teeth). However, we also offer “Partial Dentures” to you if you are only missing some of your teeth. 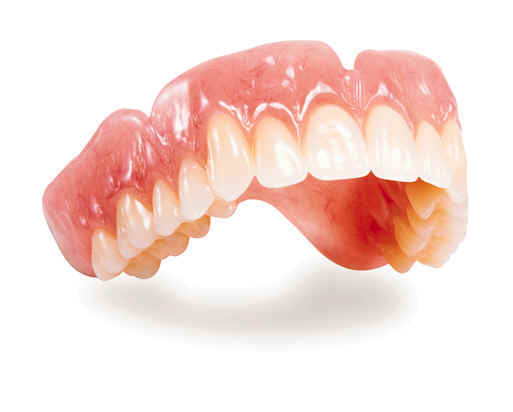 Dentures are fit specifically to your mouth and are comfortable and look natural. Partial dentures are also known as “plates”. These dentures use the remaining teeth to stay in place which means they are more stable. Talk to us about whether a metal or acrylic partial denture would best suit you. If you have no teeth left on a particular arch, our dentists are only a couple of appointments away from fitting you with a set of dentures. 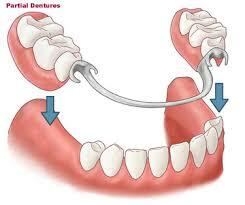 Full Dentures are prosthetic devices used as replacements for missing teeth that can be removed.